Don’t bother spending your weekends scouring toy stores for hard-to-find Star Wars figures. 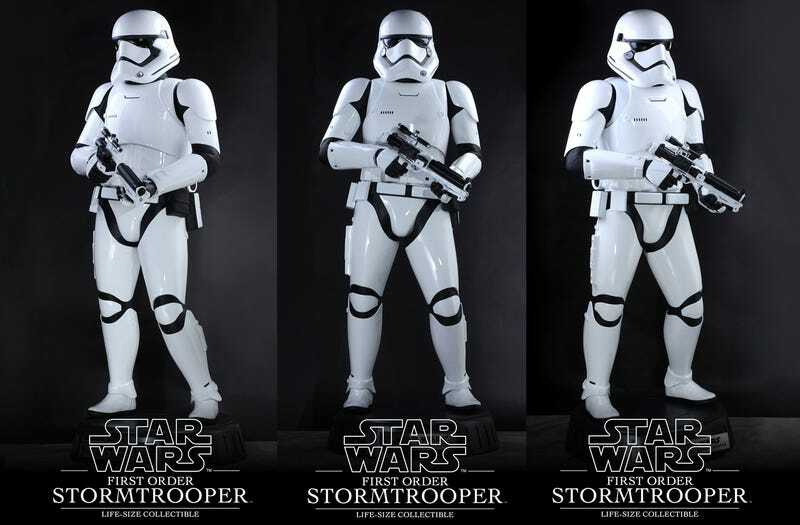 Nothing on the shelves at Toys ‘R’ Us can even begin to compare with Hot Toys’ new First Order Stormtrooper from its Life-Size Masterpiece Series. Standing over six-feet tall it’s easily the most impressive Star Wars figure ever created. It comes with sculpted armor and a helmet that have been given a high-gloss white paint finish, and a blaster replica in its hands for extra intimidation. It’s a little disappointing that for a penny shy of $8,000 it has zero points of articulation, and the armor can’t be removed so you can play dress-up. But not even a classic ‘80s Boba Fett figure with a rocket that still fires is as impressive.